The long white stretches of sandy beaches, sights and sounds of nature, and majestic palms make Sanibel Island an ideal subtropical location for a peaceful break, whether you’re traveling with or without the family. If you want to relax, the soft beaches stretch for miles. If you’re more of a sporty type, you can walk through nature preserves or bike along miles of paved paths that crisscross the entire island. Whether you rent a condo or a cottage, stay at a hotel or a campground, you’ll enjoy the sounds of the birds flying overhead and the visions of dolphins jumping just off shore. Locals and tourists have been known to adopt the Sanibel Stoop, the hunched-over position of a seashell collector. If you’re used to strolling down a beach and rarely catching sight of a real seashell poking out of the sand, you’re going to be blown away! 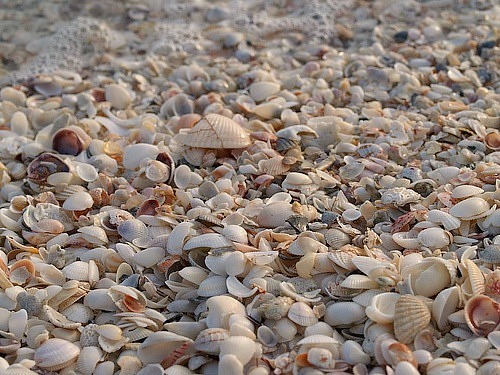 The island’s north-south orientation practically beckons thousands of beautiful shells to land on its shores. Check out the phenomenal exhibit of shells at the Bailey-Matthews Seashell Museum. You may want to visit this unique museum before hitting the shore, so you can learn about the shells and fossils that have been collected on the island—and also find out more about Sanibel’s history and environment while you’re there. 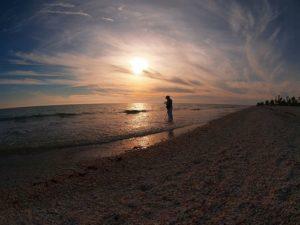 On Sanibel Island, there are a number of ways to experience nature. At Tarpon Bay Explorers, you can rent canoes or kayaks and take a guided tour through the mangroves. You’ll see birds and marine life, and you might even glimpse a majestic manatee. If you would rather take a less physical approach, you can take a nature cruise on a pontoon boat or handle marine animals in Tarpon Bay Explorers’ touch tank. Adventure seekers will love biking along the 20 miles of trails that meander across the island. In fact, you really don’t need a car at all to get around Sanibel. Almost everywhere is accessible by bicycle. Wrap your towel around your neck and bike to the nearest beach, or cycle through the J.N. “Ding” Darling National Wildlife Refuge. It’s something of a “stop and smell the roses” type of tour, and you’ll be able to see and feel so much more than if you drive a car. Even though Sanibel Island is small, it offers a delightful variety of accommodations. Condos are a popular choice for visitors; they are affordable and provide a comfortable and private place to relax. If you would rather be completely pampered, you can stay in a luxury resort. Small inns or bed and breakfasts are perfect for couples, while camping might be a fun activity for the whole family. Of golf, that is. You can have your choice from over 70 golf courses while on vacation on Sanibel Island, and every one has a different challenge. 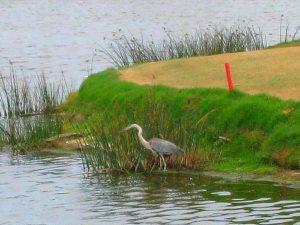 Beginners can play on par three courses, while advanced players can golf on championship courses. While you’re on the greens, keep an eye out for the wildlife. It’s not uncommon to see an egret or a pelican, and if the course is close to the shore you can usually see dolphins frolicking in the waves. Whether you prefer to be active or sit back and be pampered on your vacation, Sanibel Island can give you whatever you need. Learn a little, laugh a little, and live a little on this family-friendly island. The atmosphere is unhurried and laid back, and you just might want to stay forever. A true nature lover, Carolyn Mason is a travel writer who frequently stops in at various sanibel island condos whenever she’s in Florida.